Q: Did you draw your characters from real people in your life? A: Some of my characters have a smattering of qualities and personality traits drawn from people I know, but I do a LOT of blending. It’s incredibly important to me to make my characters unique. To do that, I feel I need to give them a range of quirks and some very distinctive behavior/thought/speaking patterns. The real people in my life are certainly interesting, but none of us (myself included) are entirely “fiction-worthy.” And, boy, am I glad! I wouldn’t want to be a real-life character. I wouldn’t want to be oddly specific enough for fiction. And I sure wouldn’t want those closest to me to be riddled with the stresses and insecurities prominently featured in the characters I’ve created. So, while I’ll happily pluck a trait or two from someone I know to add to the character mix I’m making, I have to do much more to any character to make him/her novel-ready than merely copy someone from my everyday life. Q: When did you first begin writing? A: I wrote songs and poems and little stories in elementary school, but sixth grade was when the notion of writing professionally first occurred to me. Aside from being on the newspaper and yearbook staff in high school, though, I didn’t take writing seriously until I was about 30. Then, I spent the next several years writing completed manuscripts and submitting them to agents and editors before my fifth one finally sold to Kensington Books. That was According to Jane—a romantic coming-of-age novel (for mature audiences, ages 17+!) about a young woman who has the ghost of Jane Austen in her head giving her dating advice. 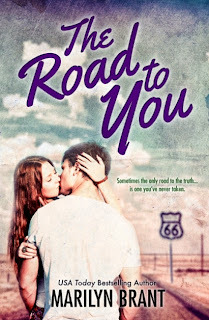 The Road to You is my eighth published novel. Q: What's your secret indulgence? A certain food? A particular movie? What would you buy on a day of shopping? A: Easy. Gourmet European chocolate—dark or milk, with all kinds of different fillings. I’ve tried to break myself of the habit but, really, that’s just not possible. The chocolate goes well with old movies, too, like “The Philadelphia Story” and “Roman Holiday,” which I can watch over and over again… Mmm. Cary Grant, Gregory Peck and Godiva/Ghirardelli/Cadbury! Q: What's one thing no one knows about you? Q: Do you have any phobias, like fear of spiders or enclosed spaces? A: I absolutely HATE celery. That’s not an official phobia, as far as I can tell, but I think it should be. The stuff is so horrible it scares me… I’m also not a big fan of rodents. Or snakes. Or driving in downtown Chicago. But I do think celery may still be the worst of them. Marilyn Brant is a USA Today bestselling author of contemporary fiction. 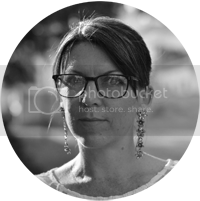 She wrote the new adult/humorous paranormal novel ACCORDING TO JANE (2009), the women’s fiction relationship drama FRIDAY MORNINGS AT NINE (2010), and the romantic travel adventure A SUMMER IN EUROPE (2011), all published by Kensington Books. 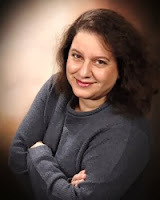 She's also a #1 Kindle and #1 Nook bestseller and has written a series of fun and flirty romantic comedies, including ON ANY GIVEN SUNDAE (2011) and PRIDE, PREJUDICE AND THE PERFECT MATCH (2013). Her coming-of-age romantic mystery, THE ROAD TO YOU, will be available in October 2013. Marilyn is a lifelong music lover and a travel junkie. She’s visited 46 states and over 30 countries (so far—she's not done yet! ), but she now lives in the Chicago suburbs with her family. When she isn't rereading Jane Austen's books or enjoying the latest releases by her writer friends, she's working on her next novel, eating chocolate indiscriminately and hiding from the laundry. Thank you for being part of my book blitz!! I appreciate it ;). You are welcome here any time, Marilyn! Absolutely! I'd love that, Suzy ;). Just email me (marilynbrant AT gmail DOT com) when the time gets closer!